three of BMW Group's UK manufacturing facilities marks the launch of the new car with a new 1,000-robot body shop at Plant Oxford, the debut of new technologies at the steel body pressings operation in Swindon, and new machining and assembly facilities to produce a new generation of three and four-cylinder engines at the Hams Hall engine plant near Birmingham. "I was lucky enough to get an early preview of the new Mini - a classic British icon - during a visit to the factory in Oxford last month. This £750-million investment is great news for both the local and wider economy, along with the 5,500 workers whose jobs are safeguarded by this launch," said Prime Minister David Cameron. 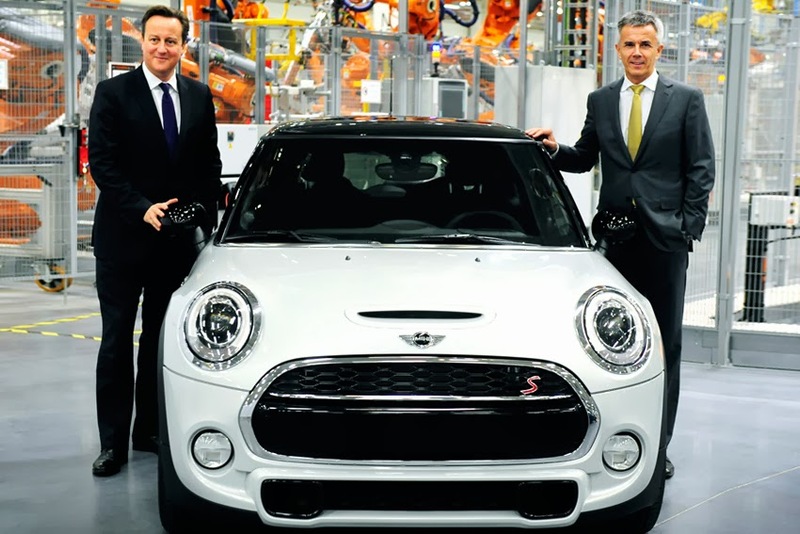 "Car manufacturing is a vital engine for growth. Production is back up to pre-recession levels and a car rolls-off the line every 20 seconds in the UK. But we're not complacent. Our industrial strategy is a key part of the Government's economic plan and we're helping to drive the car industry further and faster with over £4 bn of investment." "In our Oxford plant's centenary year, we are continuing the Mini brand success story and today starting production of the third model generation. Our total investment of £750-million in our British production locations of Oxford, Swindon and Hams Hall between 2012 and 2015 underscores the importance of the Mini production triangle within our global production network. 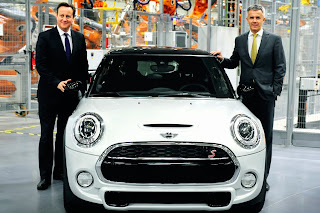 The UK is the heart of Mini production - due to the experience, competence and strong commitment of all our employees," added Harald Krueger, BMW Group's Board Member for Production. Commenting on the new model, Peter Schwarzenbauer, BMW Group's Board Member for Mini, BMW Motorrad, Rolls-Royce, Aftersales BMW Group said, "Mini is an inspiration for trend-setters and creative spirits the world over. And with our latest generation of Mini, we want to excite once again. To ensure the new generation of Mini is as successful as its predecessors, we have made just subtle modifications to its design. But beneath the outer skin is a brand-new car with state-of-the-art technologies seen for the first time at a small car."